It’s summer! The time when I reach for Lucy Buffett’s cookbook before anything else. 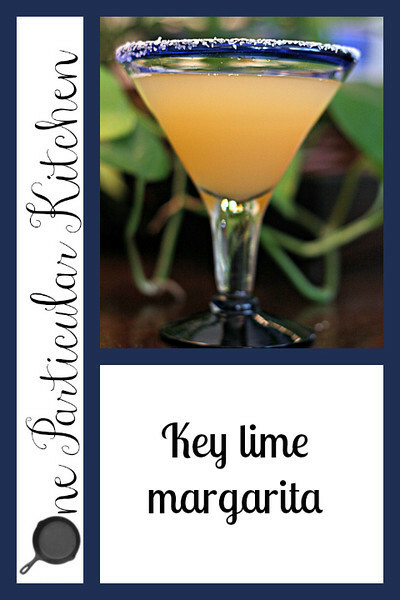 This one is based on Lucy’s Cadillac Margarita, adapted to, naturally, include key lime juice. Because I am obsessed love it. When the drink is fabulously cold and frothy, pour into said glass and enjoy. this looks delicious….I just started experimenting with making my own cocktails…so much fun 🙂 I will try your recipe this weekend. Oh. My. Goodness. I love, love, love margaritas and now you’ve made a KEY LIME one?! I’ll be drinking one of these (or several) this weekend! Thanks for the recipe. OOO MAN! You are screaming (not calling) my name with this! Seriously….Yum! When I come to NashVegas will you make me a bucket of these?